Aircraft - General Aerial Photography Discussion The Mobius 2 ActionCam Support Thread (Key Info in Posts 1-7)! The Mobius 2 ActionCam Support Thread (Key Info in Posts 1-7)! This thread is hosted by M2 users, not the camera developer, and is part of a radio controlled model web site in a Forum dedicated to Aerial Photography. As such, the content of this thread is intended to focus on the topic of the Mobius 2 Actioncam (NOT the original Mobius (1) which has it's own thread) and it's operation and capabilities for aerial video purposes. That said, the Mobius 2 (a.k.a. M2) is unique in it's small size, weight, capabilities, and price point, making it ideal for many other uses to capture action video. There will be persons interested in the M2 for purposes other than aerial video directed here for camera support by various vendors, and you are welcome here for the purpose of helping you with the camera's operation. Problems adapting the camera for your dashcam use, go to this thread. Use of M2 as an FPV camera and issues with adapting/connecting the FPV gear, go to this thread for the very similar M1 camera..
Side topics about mounting on something other than aircraft or adapting the M2 for other than Aerial Video purposes, go to this thread for the very similar M1 camera for tips. Discussion of gimbals for the M2, go to this thread for the very similar M1 camera.. Discussion GPS interference from the M2 (yet to be evaluated), go to this thread for the similar M1 camera. Exceptions: Any video that shows a specific problem with the camera's operation or a solution for those problems are desired and will help others regardless of how they might use their Mobius. Suggestions for camera feature improvements should be well thought out as having broad appeal, and realistic within the bounds of this camera's uniqueness for size, weight, and price point. Most of these will be firmware related, not physical redesign. 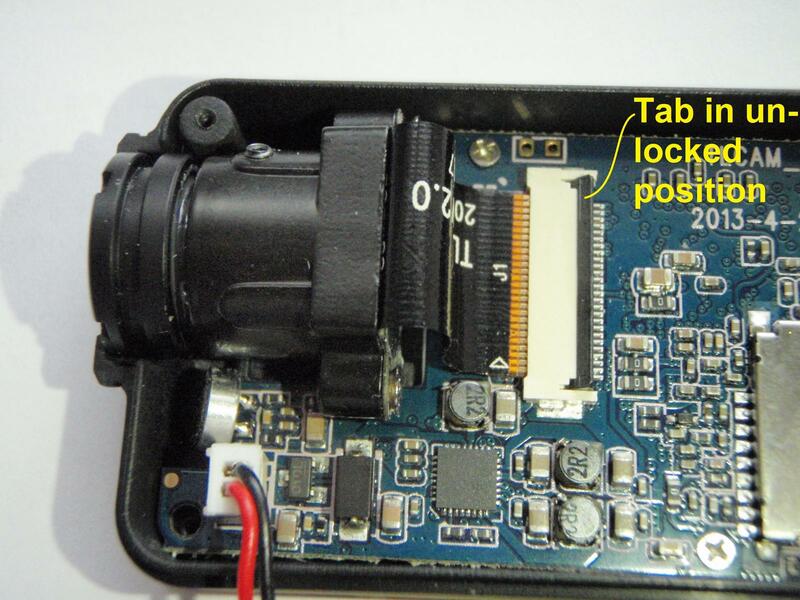 The camera developer monitors this thread and has implemented many features from user input. But lets stay realistic. Complaint posts about the M2 not meeting your every need or do what much more expensive cameras can do have no place here. Finally, this thread is a "self-help" thread! The 6 "info posts" following this one contain much information that can answer many user questions. These info posts will be updated as needed with new information. It is my intent and expectation that thread posters will "do their homework" and access these posts before posting new questions. If you still have questions, the advanced thread search function should be used to help find posts that relate to your issue. This will not only help keep the thread from becoming bloated with redundant questions that have been asked and answered many times, it will also keep the thread more interesting to the target audience. If this is your first time reading this thread, please read the next 6 posts now to familiarize yourself with this thread's structure and resources. The M2, by the developer of the highly successful original Mobius ActionCam and the #16HD "808-style" keychain camera, is a logical progression to the more capable 1080p-60 fps level of video hardware. 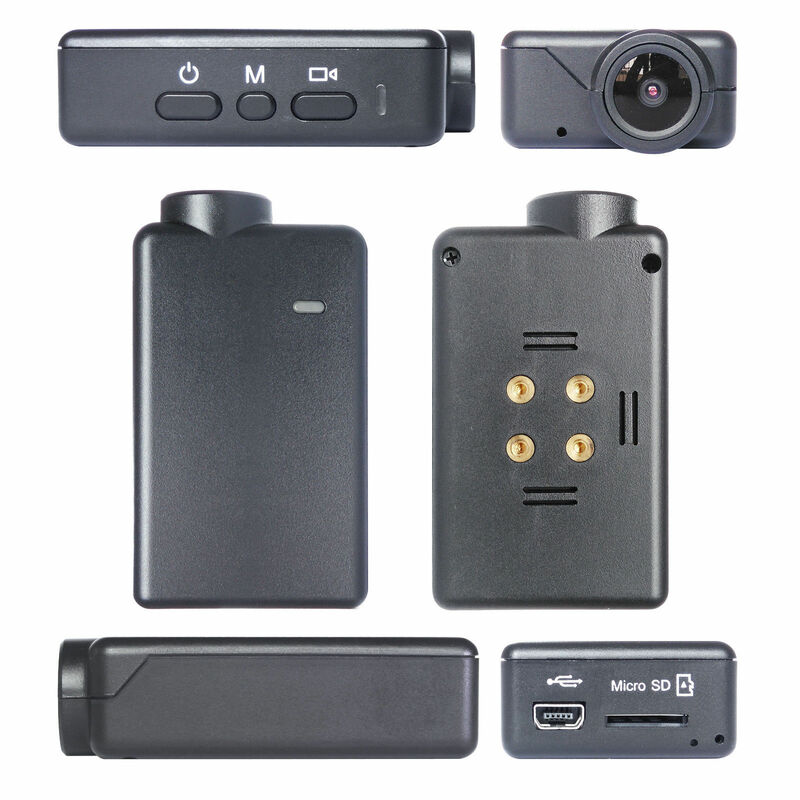 The features that made the M1 such a hit, namely small, light, configurable, great video, and low cost have been retained to match the capability of the new hardware. The firmware will take many months to mature and incorporate all the capabilities of the new hardware, but the developer is actively pursuing this goal while watching this thread for user feedback on the camera's functionality..
[B]You are advised to only buy your M2 from a developer-verified source. Verified vendors not only sell the real M2 camera, accessories, and some replacement parts, they have pledged a commitment to customer satisfaction, both before and after a sale, and are your first contact if any early problems are found and not caused by user abuse, crash damage, etc. If parts are not listed on their sites, use their web site email contact link to request what you need. Payment via PayPal is usually available. The developer's China eBay seller will usually have the lowest delivered prices. The other re-sellers may offer quicker delivery depending on your location. Prices can vary from one vendor to the other and depends on what is included in different accessory packages. The cost from the China direct seller eBay outlets will be nominally about US$89 with free shipping. Non-verified sellers may be selling fake imitation cameras at seemingly bargain prices, and you should be wary of buying from them. NOTE: Both users and vendors are expected to abide by this forum and thread vendor communication protocol. Standard Class 10 or UHS-1 microSDHC cards from popular manufacturers should be used for the high data rate recording of this camera. Currently, cards with a capacity up to 200GB can be used, but they MUST be formatted as FAT32. ALL MEMORY CARDS should be formatted using the camera's internal formatting routine for best compatibility!. If you are uncertain about what kind of memory card to buy, order one from the camera vendor when you place your order. The camera has a modern case design precision molded of rugged high-density plastic to house the circuit board and LiPo cell battery. Three buttons (power, mode, and shutter) are provided to toggle various functions, with 4 colored LEDs for visible feedback on the cameras operation via an internal "light-pipe" to make the LEDs visible on both the top and side of the case where the buttons are located. The bottom of the case has 6 small ventilation slots to allow internal heat to escape. A metal heat sink plate is inside with 4 brass screw studs protruding through the case to accept mounting screws. A brass tripod mount piece is included which attaches with the 4 screws. It also gives added heat dissipation, though it is NOT necessary for cooling with proper mounting of the case. The basic camera weighs approximately 45 grams (without lens cap) and measures nominally 59mm (case body) and 64mm (at lens protrusion) (L) x 36mm (W) x18mm (H). The inside of the case top and bottom has precision molded rib structures to accurately position and securely hold the CMOS/lens module. Embedded into the case bottom is the aluminum heat sink plate with 4 brass screw inserts for attaching the tri-pod mounting piece. A clear plastic "light-pipe" insert in the case top is positioned over the 4 circuit board function LEDS to channel the light to the top and side LED view ports. The circuit board has a reset button and easy disconnects for the battery and CMOS ribbon cable. The charging and external communication port is a standard 10 pin mini-USB socket. An over-voltage protection IC on the USB external power input which will disconnect the external power and protect the camera if the voltage is between 5.6V to 28V. The CMOS imager and DSP chips used in the camera are confidential at this point at the developer's request. The stock 820 mAH battery can power the camera for at least 2 hours of full HD recording. The CMOS imager is on a thin circuit board attached to the back of the lens module with two screws. It's ribbon cable is secured via a clamping socket making it possible to replace just the CMOS imager if necessary. 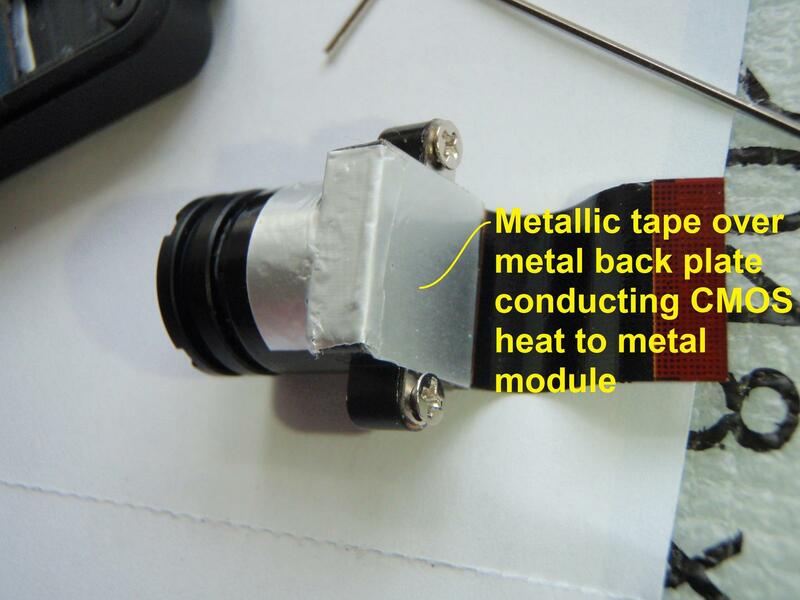 The M2 CMOS imager and ribbon cable are NOT compatible with the original Mobius (M1) CMOS or ribbon cable due to a different number of traces. 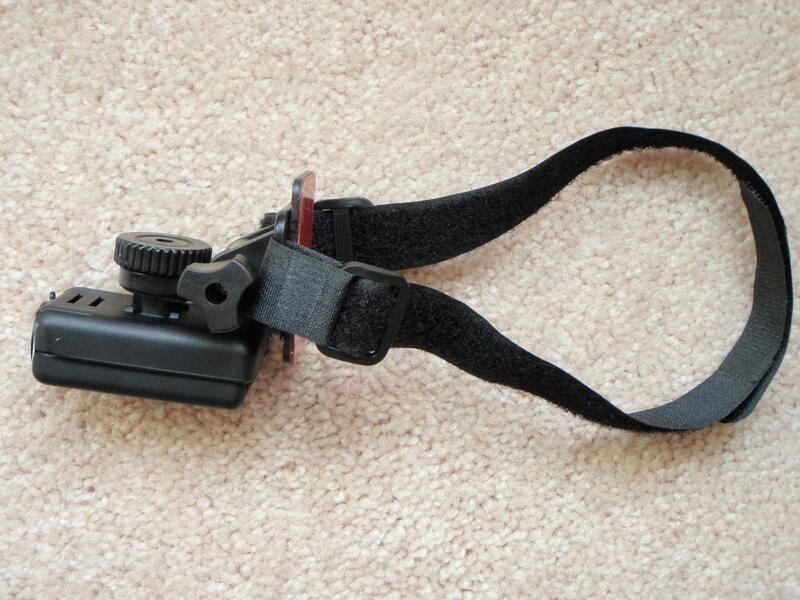 But a #16 808-style camera lens extension cable WILL work with the M2 module, but only the very short one (6cm / 2.5"). A longer cable will attenuate the signal too much and will NOT work. The CMOS has an active pixel array of 1920 x 1080 (16:9 aspect ratio) for full HD video recording. The standard lens is a wide angle design with a HFOV of 130 deg. FOV in 1080p mode. Other lens options will be offered as the camera matures. The module has an M12 thread and can accept other lenses with matching threads, though 3rd party lenses may or may not have the necessary focal plane diameter or distance from the back of the lens to properly focus and cover the CMOS array to avoid vignetting or cropped corners. Stock camera (with battery & memory card).. 45 gms. Case with heat sink.................................... 13 gms. Battery (820 mAH)..................................... 16 gms. Circuit board ............................................. 9 gms. Lens module and ribbon cable....................... 7 gms. Tripod mounting piece and screws................. 7 gms. Mounting base plate with screw stud............ 10 gms. The case bottom has 4 M2 screw studs molded into it and anchored in the heat sink inside. These can be used to attach the camera to a flat plate for a mount of your own design. Those studs also accept the stock tri-pod attachment piece (standard 1/4-20 thread) and will mate with a variety of heavy duty mounting accessories. Three of these are a flat surface adhesive pad mount, a bike handlebar mount (accommodates oversize bars), and a lever-actuated suction mount for smooth surfaces such as a car windshield. Each of these specific mounting options use an adjustable articulating ball piece that screws into the base plate, making very minute changes in alignment possible. The optional helmet mount has both a slightly flexible adhesive pad plus a retaining strap for rugged use. The screw attachment point has only two rotation axes available for aiming the camera. 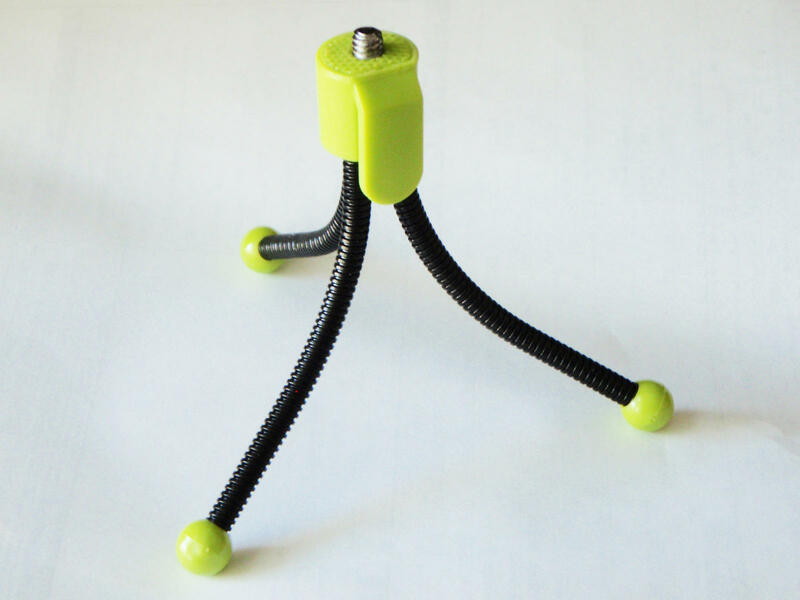 Another option is a mini-tripod bolt mount for use as a web cam or other use on any level surface. It is strongly recommended that users with Windows PCs always use the mSetup graphical user interface (GUI) program to change camera settings and update firmware. This post by Isoprop has a link to download his free Windows GUI (mSetup.exe) for easy configuration of the M2 settings, and also his M2 User Manual. This post by Thomas has links to his Mobius 2 Android configuration application. New firmware and user settings can be loaded into the camera manually as a last resort (see below), but it requires specific file editing and handling procedures as well as multiple button press sequences on the camera. It is easy for user errors to cause these updates to fail! Also, there are numerous camera settings, some of which conflict with each other if both are toggled on at the same time. The GUI program will not permit these conflicting settings to be set so will eliminate all of these user error possibilities, so please do yourself a favor and use the GUI if available for your computer or handheld device. 1. Download the camera's configuration file to the flash card in the camera (HOLD DOWN MODE BUTTON, THEN ALSO HOLD DOWN POWER BUTTON UNTIL THE RED LED BLINKS 3 TIMES THEN TURNS OFF). 2. Turn the camera on, connect it to your PC, and access the camera root directory when it goes into the "removable disk mode". You should see three system folders on the card MOVIE, VIDEO, Syscfg, and also the camera configuration file, syscfg2.txt. Do not confuse this with the syscfg folder which is explained below in the Firmware section. Movie Frame Rate=;0:120fps,1:60fps,2:30fps,3:100fps,4:50fps,5:25fps ,Note:120fps and 100fps only for 720P and WVGA. Note: User-variable function key values the camera uses are shown bolded in the square brackets. Functions shown may vary with firmware updates, but manual editing is similar. 4. Replace any number(s) in the square brackets with any valid alternate setting number, shown highlighted to the right of each function. At the bottom the version numbers of three important system files are identified. which can be important when manually updating the FW (more on that below). NOTE: Except for certain functions which cannot co-exist, invalid numbers or other characters in the square brackets has not shown to cause serious problems since the camera should ignore them or use default values. 5. Save the revised file back to the memory card root directory, but do not change the file name. 6. Upload the revised configuration back into the camera using the same key-press sequence used to download the configuration. The red LED will turn on, then blink while the config file is loading. Keep both camera pressed down during this process. 7. When the LED turns off, you're done! The new configuration will be in the camera and the config file will be automatically deleted from the flash card. You may check the flash card to confirm this if you wish. Firmware Firmware updates will contain bug fixes, new or improved features, or both. You are advised to always update the firmware if you want your Mobius to give you all it can. You are strongly advise to ALWAYS use the GUI tool for all camera firmware changes (see above). The GUI will determine if your camera firmware is out of date and download the latest firmware if you agree choose for you to install. The firmware development and refinement is a continuing process, and the most recent OFFICIALLY RELEASED version will be linked at the bottom of this post. I keep old, obsolete firmware in case anyone needs a copy (PM me with your email address). M2 kernel VA.BB - where "A.BB" is the kernel version number, with the file inside ALWAYS just named "kernel"
M2 rootfs VC.DD - where "C.DD is the rootfs version number, with the file inside ALWAYS just named "rootfs"
M2 FW VX.YY - where "X.YY" is the version of the FW file inside, which is ALWAYS named "TLC.S001.MB00100000". NOTE: The names of the files must not be changed or the camera will not be able to load them, so it's necessary to keep each file in it's own folder to identify its version number. The following procedure is for manually updating your camera firmware. It is not necessary to do this if you can use the Windows GUI configuration tool (see above). It will determine if your camera firmware is out of date, download the latest firmware if you agree, and install it for you, taking all the potential for user error out of it. You are strongly advised to ALWAYS use the mSetup GUI tool for all camera firmware changes.
. The first three sets of numbers are the FW, rootfs, and kernel versions, respectively. If the rootfs or kernel file versions from either of these methods match the same version numbers for those files in the FW download archive, you do NOT need to load in those files again, and only the newly downloaded FW file (TLC.S001.MB00100000) needs to be copied to the memory card for uploading into the camera. It does not hurt to reload all the files, but it can take a lot longer (about 2-1/2 min. to load all three files). 1. [B]Download the "M2 APP FW x.yy.zip" firmware archive file and un-zip it. Copy ONLY the necessary system files (see above) from their identifying folders to the camera's memory card root directory. 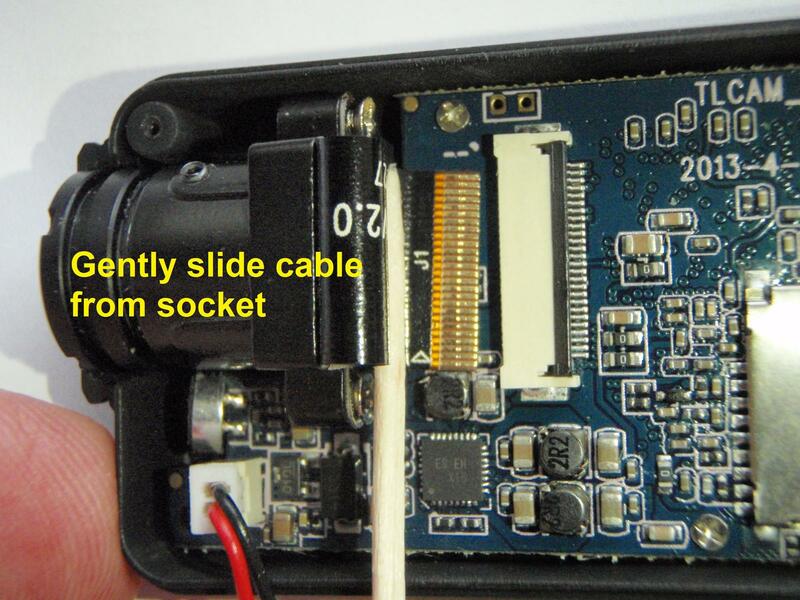 This can be done with the card in the camera connected to the computer as a Removable Drive, or externally in a card reader. But do NOT copy the folder(s) containing the file(s) and do NOT rename the file(s). If you do, the camera will not install the system file! 2. Disconnect the camera from the PC, but make sure the camera battery is well charged, or better yet, connect an external USB power source to make sure the camera does not lose power during the upload.. Don't worry, a failure to complete uploading of the system files cannot brick the camera since the boot loader file is not affected by this process. You can always do another upload by repeating this process. If you have an external USB power source connected, the GREEN LED charging indicator may be lit, which is OK. It doesn't impact the upload process, but be sure the camera is turned off before starting. 3. Insert the flash card containing the new firmware file(s) into the camera (if not already in the camera). 4. Press the Power button briefly and the RED LED will begin blinking. RELEASE THE POWER BUTTON AS SOON AS LED FLASHING BEGINS! If you keep pressing it longer, you may turn off the camera before the update process is done. DO NOT PRESS ANY BUTTONS WHILE THE INSTALLATION IS IN PROGRESS . The upload can take as little as about 10 seconds if only the FW file is being loaded, or as long as 2:15 minutes if all three files are being loaded! 5. To confirm the system files are being uploaded, the RED LED will continue to blink at different rates with possible off periods of a couple seconds during the upload process. 6. When the FW installation is complete, the RED LED will turn off and the camera will shut down after deleting the system files from the memory card. The process is pretty fool proof, if you follow the instructions explicitly, take your time, do not press any camera buttons, and wait for at least 15 seconds with no LED activity before trying to turn on the camera. 7. You're done! Turn on the camera... the RED LED will stay solid for about 5-6 seconds the first time it is booted after an update while it reconfigures the card folders. You should check that the system files were deleted from the card, and I recommend also checking the DvConfigs.bin file in the syscfg folder to confirm the version numbers of the installed system files are correct. Click on this link to download the latest FW (V2.14 and support files). Last edited by Tom Frank; Dec 13, 2017 at 10:37 AM. Reason: minor text editing. The images shown may be for the M1 camera, but are similar to the M2. The case has a top and bottom piece held together by two screws on the bottom front corners and two interlocking tabs/lugs on the back. Remove the two screws, lift the front of the case slightly, and pull it towards the front (towards the lens) to remove the bottom piece and expose the circuit board. There are three tiny screws securing the circuit board to the case top, but you will never need to remove these for normal maintenance. The battery simply plugs into socket on the circuit board, and it has a key on the plug so it cannot be plugged in with wires reversed. The plug can be quite hard to remove, so a slight side-to-side rocking action with a thumb nail or NON-METALLIC tool in the gap between the plug and circuit board socket can help free it without exerting excessive force on the circuit board. NEVER PULL ON THE BATTERY WIRES to remove the plug! Plug in the new battery, re-position the cell and battery wires, and replace the case top when done. 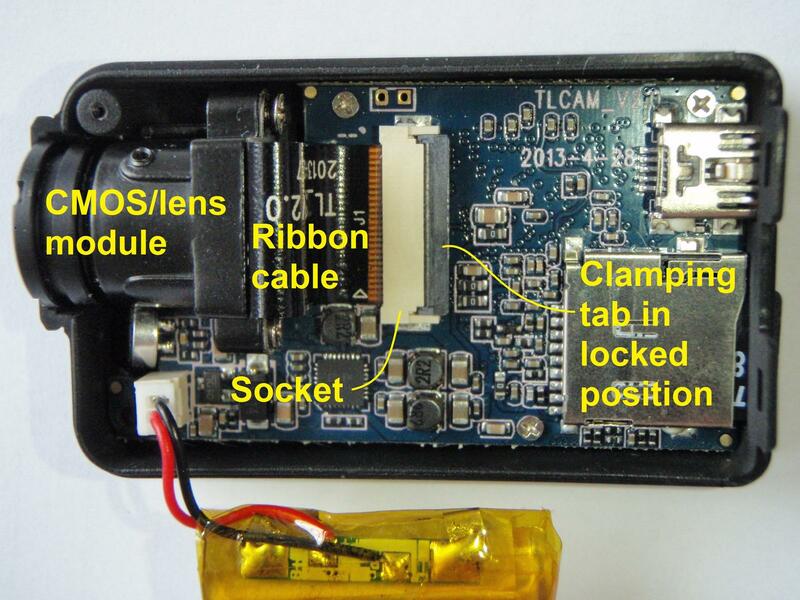 Note that the M2 stock batteries have a small circuit board soldered to the battery tabs. This board has an IC chip that protects the cell from being over-charged or over-discharged. While this protection is redundant and a back-up to similar protection circuits in the camera itself, use of stock batteries is highly recommended to assure this added level of battery protection. NOTE: The camera battery should be removed before doing this (see item 2., above)! The pictures referenced below incorrectly show the battery still connected! The CMOS module is press fit into a ribbed securement structure on the case. Because the CMOS ribbon cable is very short and can be damaged easily, it's advisable to first slide the ribbon cable from it's socket before the module is extracted. 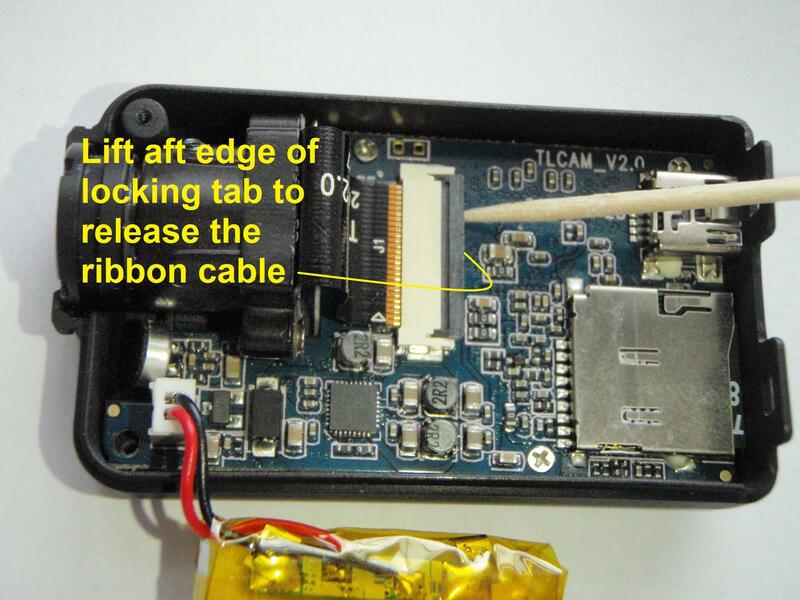 The ribbon cable slides into a socket on the circuit board and is clamped in place by a hinged clamping tab. The cable is released for removal by gently lifting up on the aft edge of the clamping tab with a thumb nail or NON-METALLIC tool, such as a toothpick. 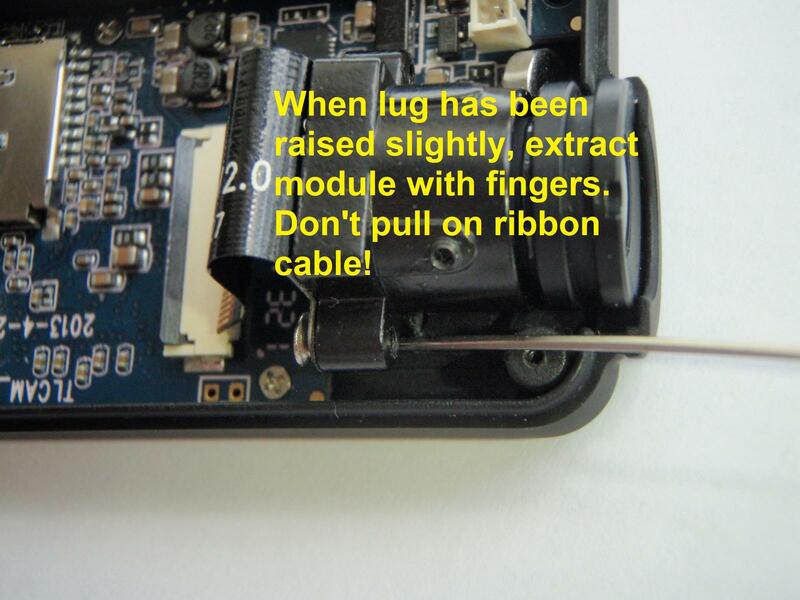 Gently slide the ribbon cable out of the socket with a NON-METALLIC tool such as a toothpick. Now the CMOS module can be extracted from the case, but it is a very tight fit and should be done carefully. I find the best method is to use a tool as a lever to just slightly lift one side of the module at the screw lug A strong (e.g. metallic) tool may be needed for this, and can be used without getting close to any circuitry if applied at the side of the module near the edge of the case. 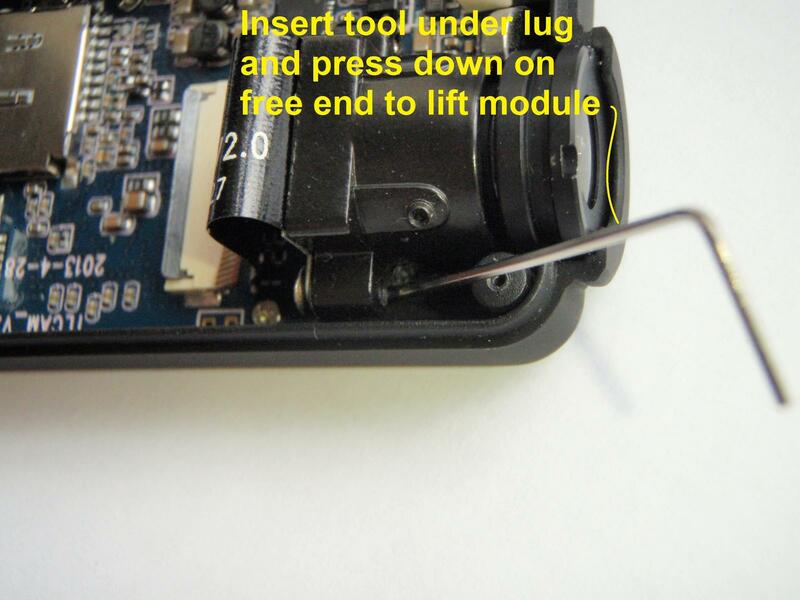 Once the edge of the module is lifted, the module can be easily removed with your fingers. 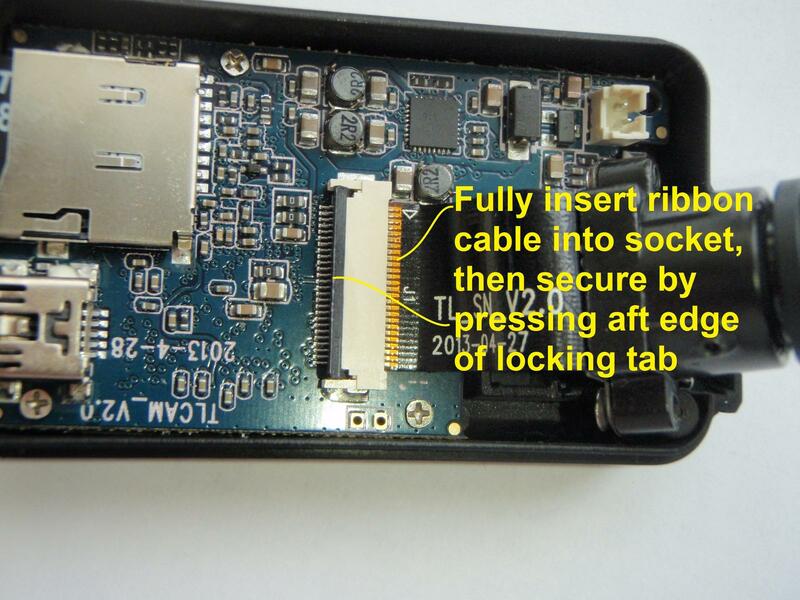 Just be careful to not twist or over-extend the ribbon cable. Replacing a module is slightly different. With the locking tab lifted, gently insert the ribbon cable into the circuit board connector, making sure it is fully inserted. It's a snug fit and needs to be inserted straight with maybe a slight side-to-side rocking motion. DO NOT force it. When in place, close the locking tab to secure the ribbon. Now position the module over it's seat in the case, allowing the ribbon cable to bend naturally. DO NOT force a sharp bend in it. When in place, push the module into the case slot by pressing on the side lugs. It's a very snug fit, and a slight rocking side-to-side rocking motion may be needed. Make sure the lens is centered in the case opening and replace the case top. This is not an easy task. The threaded lens may NOT be secured in the module with a tiny set screw like the M1, but the hole for the screw is in the module which looks to be identical to the M1 module. If yours has a set screw, it requires a 1MM hex Allen wrench to loosen it. The lens may be glued in place and the glue must be chipped out of the lens threads with a hobby knife where it enters the module before it can be rotate, and this can be very difficult or even impossible! To refocus the lens, simply remove the case bottom, mark the initial position of the lens with a thin line of paint across the lens threads and module base (optional-for future reference only), then remove the glue (or loosen the set screw) until the lens can be rotated in the housing. When facing the front of the lens, turning it to the left will move it further away from the CMOS and move the prime focus closer to the camera. The reverse will do the opposite. The lens should turn easily once the set screw is loosened enough, but there are small notches in the lens front rim to aid in turning the lens if needed. There should be enough room in the case to make moderate focusing adjustments without having to remove the module or circuit board from the case. Focusing can be done in web cam mode while viewing the image on a monitor, or by trial and error still or video shots noting the lens position for each and comparing afterwards. Its been claimed that still images of the same scene will have the largest file size when the camera is in best focus, though I prefer a visual indicator and have not tried to confirm this. The standard lens has a large depth of field, and images should appear as sharp as the lens is capable of from about 2 ft. out to infinity when in good focus. When the lens is focused to your requirements, simply re-tighten the set screw and replace the case bottom. 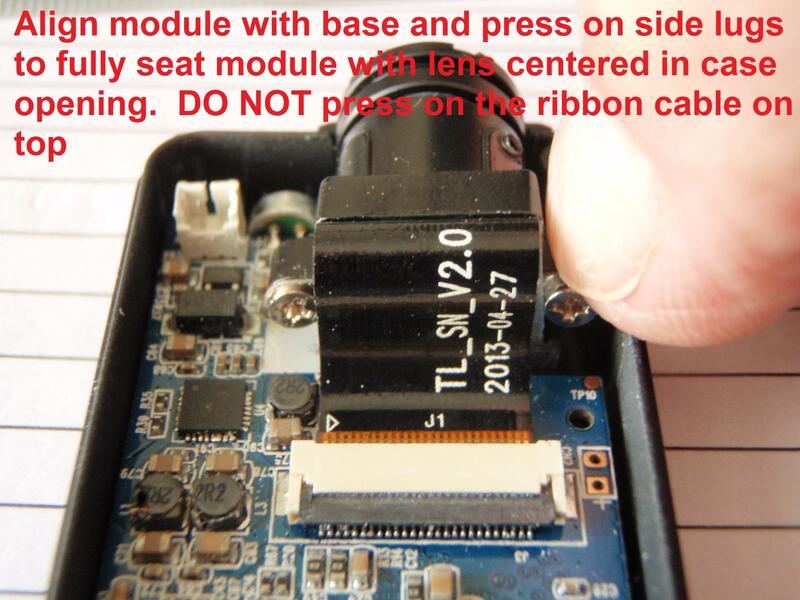 To completely replace the lens, you will need to remove the module from the case (see item 3., above) to allow enough room to completely unscrew the lens from the module. 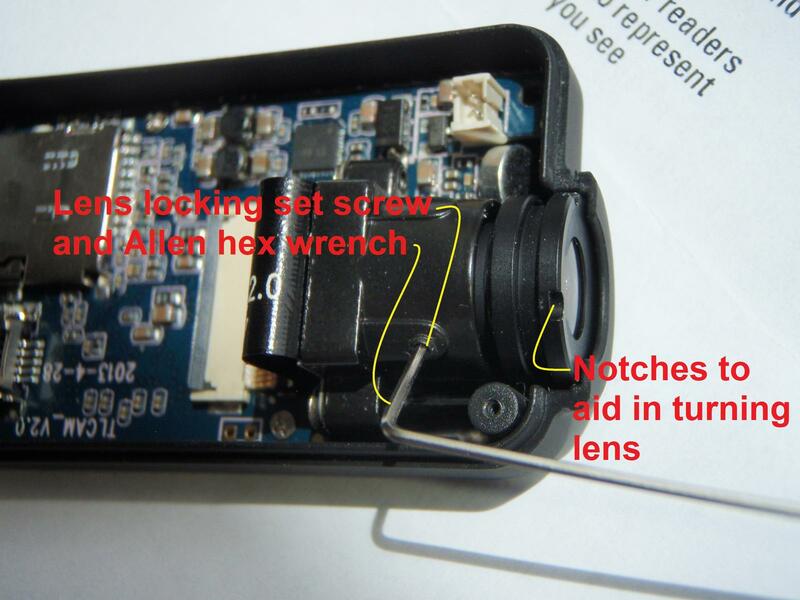 NOTE: If the lens appears to "jam" and not unscrew easily, see this post for a possible reason and solution. Then replace the lens, reseat the module, and replace the case bottom. Last edited by Tom Frank; Sep 16, 2016 at 05:40 PM. Last edited by Tom Frank; Jul 21, 2016 at 01:41 PM. This is the original Mobius GUI which was created in co-operation with the developer and Tom. The program supports all Mobius cameras (Mobius, Mobius2, Mobius Mini) as well as the #16, which was also developed by the Mobius team. mSetup is backward compatible to all Mobius firmware versions and all firmware versions for the #16 808 cameras that support USB communication. Click HERE to download the GUI and/or User Guide. The program is a native Windows application specifically written for the Windows operating system (XP and above) and does not require any 3rd party runtime system, for example Java or .NET, to be installed. The simple and extremely user-friendly program is fully plug-and-play and includes an integrated User Manual. The software will also identify all unknown USB cameras and devices with a capacity of 200GB or less. So, if the GUI doesn't recognize your camera, you don't have a #16 or a camera from the Mobius family! If you don't yet have the camera you may want to take a short peek at the integrated help, available by clicking the 'Help' button. Remember you can resize the dialog by dragging the gripper at the bottom right corner if you prefer a smaller image. The dialog fonts will automatically be resized to fit. The latest GUI software configuration tool together with the latest instruction manual (User Guide) may be downloaded by clicking on the link above or on one of the images below. It is strongly recommended that you enable automatic program and firmware updates which will allow you to always benefit from the latest available tools. This is specially worthwhile during the first few weeks after the initial release. Traditional Chinese, Czech, Dutch, French, German, Hindi, Hungarian, Japanese, Polish, Portuguese, Russian, Spanish and Turkish. Many, many thanks to all translators for your hard work! mSetup is guaranteed 100% Clean, which means it does not contain any form of malware, including but not limited to: spyware, viruses, trojans and backdoors. Last edited by Isoprop; Apr 10, 2019 at 08:43 AM. I will update this post with more information when time permits. Last edited by Isoprop; Apr 10, 2019 at 09:01 AM. A moderator felt this post violated the following rule: Trolling (Obnoxious behavior). It is temporarily hidden while flyflysky edits it. Android application Mobius ActionCam now supports also Mobius 2. You can change configuration and manage files in the camera. Live video is not supported by the camera at the moment. If you have any questions, please look at this thread. Last edited by Thomas. ; Jul 26, 2016 at 11:14 AM. This app now supports the new Mobius-2 ActionCam, all Firmware versions ever released, with the same super smooth User interface that automatically matches camera mode without any User intervention. See Features Web Page for more information. This app now supports the new Mobius-2 ActionCam and tells you if your phone/tablet provides basic, limited, or full USB OTG support. It also tells you if your phone/tablet can run the app listed above; if not, it tells you exactly why. My Support Web Page contains a lot of useful information and is updated from time to time; it also contains details about special offers when available. Make sure to refresh page to get the most recent version. See Play Store for available app names and descriptions. So who's gonna post the first sample videos ? Just say "No, it's under 250g"
Very glad to see 90 degree rotation in firmware!! Cant wait to receive mine! Anyone seen it in US stores?